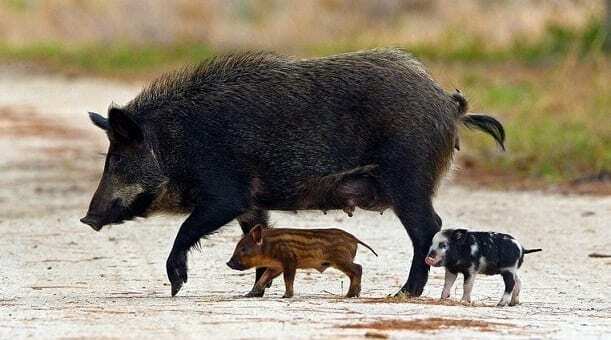 Eurasian boar are native to Europe and Asia. Also known as Russian boar, wild boar, wild hog, razorback, or feral swine, invasive Eurasian boar are new to the New York landscape, represent a great threat to New York and have the potential to become permanently established if action is not taken immediately. Note the location (intersecting roads, landmarks or GPS coordinates). Note the number of animals seen, the date, and whether any were piglets. Species Management (PRISM) by visiting: www.nyis.info. Report the infestation to iMapInvasives at: www.NYiMapInvasives.org.